 We have two licensed chiropractors on staff at Jamison Chiropractic, Dr. Kristen Doyle and Dr. Mark Feeney. The majority of our patients are comfortable working with both doctors. By doing so, our patients get to know each doctor, as well as their treatment style. However, some of our patients develop a preference of doctor. There are a variety of reasons why this occurs. Most often, it is because of a difference in treatment style. If you notice that one particular technique seems to get better results, we request you notify us. We add that information to your file, so we are aware of your preference. That way, each of the doctors can maintain standardized treatment from visit to visit. This will help you become comfortable with any of our doctors. with Dr. Mark to accurately determine the root cause and magnitude of their injuries. Dr. Mark Feeney obtained his degree in 1997 and graduated with Honors from Sherman College of Straight Chiropractic. He is licensed by the State of Pennsylvania and is an active member of the Pennsylvania Chiropractic Association. Dr. Feeney has received additional certification as a Pediatric Adjustor from the Chiropractic Pediatric Association. He has extensive experience in SOT, activator and diversified techniques. Dr. Feeney's areas of interest include pre-natal adjusting; extremity adjusting, and sports injuries. He has been in private practice for over twenty years and his most recent achievements include accolades by the Consumer Research Council of America, as he was awarded as one of America's Top Chiropractor's for 2007-2018 for Family Chiropractic. Dr. Kristen Doyle attended Sherman College of Straight Chiropractic. She graduated in 1997 and was awarded her degree with Highest Honors. She is licensed by the State of Pennsylvania and has received additional certification as a Pediatric Adjustor from the Chiropractic Pediatric Association. She has been in private practice for over twenty years and has extensive experience treating musculoskeletal problems, particularly in adolescents. She is highly skilled in trigger point therapy and her areas of interest include pediatric and geriatric adjustments. Our staff is available to assist with appointment scheduling, billing, and insurance issues. Please call (215)343-4036 or e-mail at [email protected] and we will be happy to assist you.